This lovely copy of Le leçon de tricot (known also as Special Moment, and sometimes referred to as the Knitting Lesson) after Emile Munier (1840-1895) dates from the late 19th to early 20th century, and is an exceptional copy of the painting Munier exhibited at the Paris Salon of 1874. 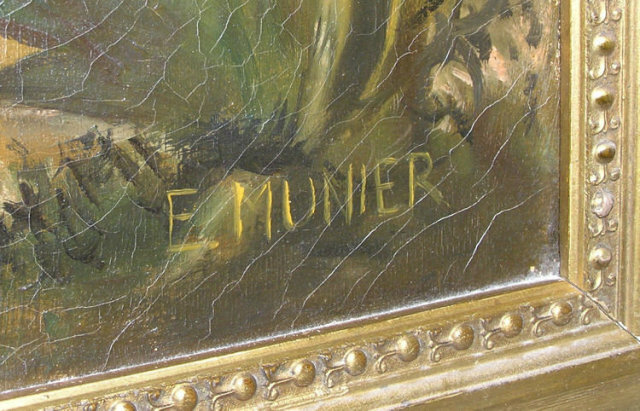 Signed "E. MUNIER" in lower right corner. 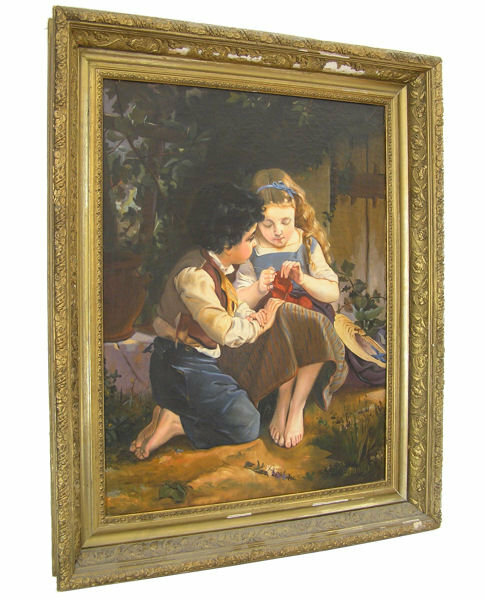 Canvas measures 19 1/8" by 25 1/4" and frame measures 24.75" by 30.75" by 3". 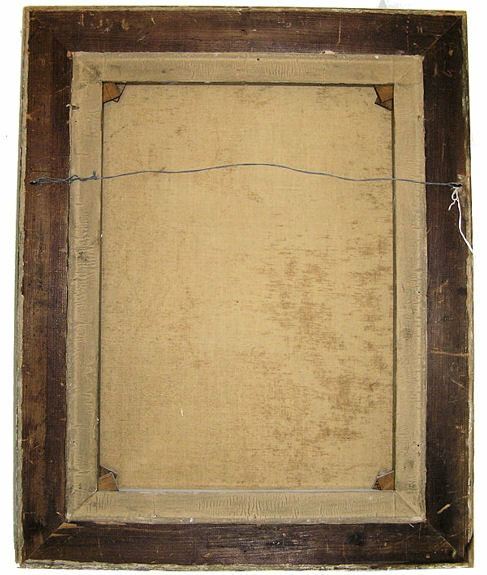 Giltwood and gesso frame is old and from the period of the painting. 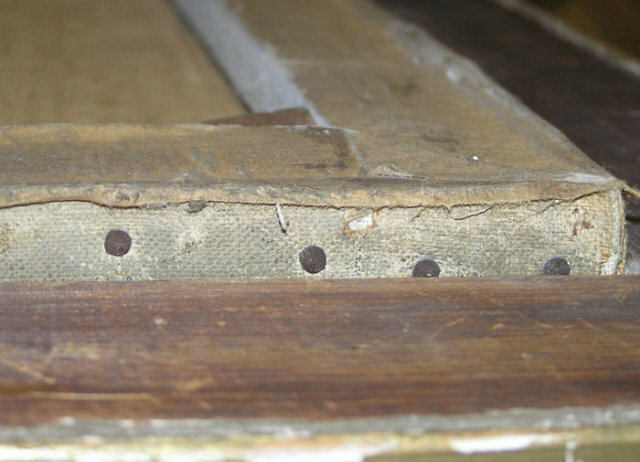 Canvas is in good condition. Craquelure is consistent with age. There are a couple very small (<1/8") paint losses near the pocket of the boy's right leg. There are no identifying marks on the rear. Provenance provided upon request. The original was painted by Munier in 1874 and measures 33" by 45". It was sold at auction on 9/21/07 by Galerie Koller of Zurich Switzerland in lot 3156 for 300,000 Francs ($255,000). Items Similar To "Le Leçon de Tricot ( Special Moment ) After Emile Munier (1840-18..."
Nineteenth Century Oil On Board by Emile Brisset, French, "Military Work With Soldiers"